Today I’m really excited because I’m officially HALFWAY through my 2016 ready goal! 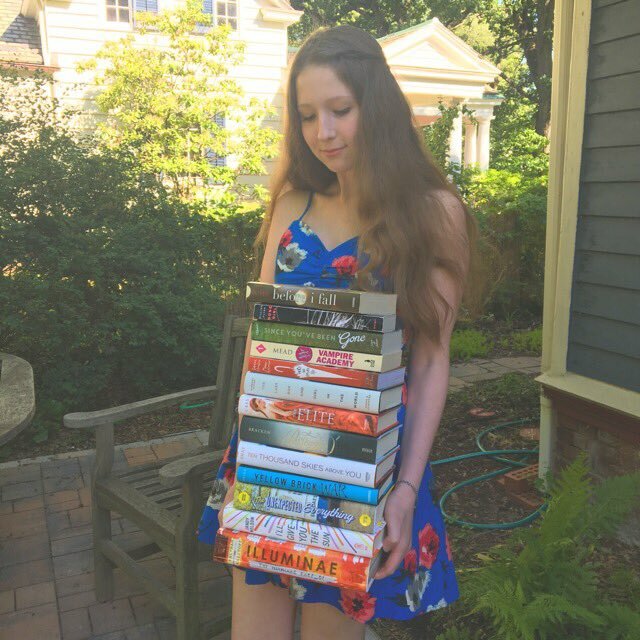 *que dance party* 75 BOOKS!! Here are all the books that I’ve read since my last reading update. You can read my first update here, as well. My average star rating was 3.82 stars! How are your reading goals coming along? Let me know in the comments! I have read 34 out of my goal of 60 books! That’s awesome! You’re more than halfway there wooo!! Woohoo!! Good job, Sophie!! That is amazing! I really want to read Illuminae and The Unexpected Everything. I recently fell into a reading slump which has pushed back my progress for my reading challenge goals but hopefully, I can fix that soon. Thank you!!! I totally recommend both of them, especially if you’re trying to get out of a reading slump. Good I’m over halfway with 29 out of 52 books! I have a feeling I may even end up a few over because I always read more around the holidays and in the summer! 😂😂 I can’t bring too many because I plan to bring a lot back (San Francisco has a million used book stores!). Wait really?!?! I’m planning on going soon so it’s good to know! Yeah I’ve heard that Dog Eared Books & City Lights are both really good! Congrats. So many great books. Can i ask how you insert the stars next to the books for rating? Me before you ❤ And also what book is it on your photo?? That map is absolutely gorgeous! I met an author who said that one of the first things she does when she’s planning is drawing out a map of what the world looks like, which I think is awesome!